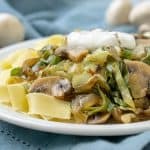 This Skillet Zucchini Mushroom Lasagna is an easy, one pan recipe for a hearty vegetarian lasagna that is ready in an hour. In our house, lasagna makes the list of ultimate comfort food dishes. And, I love going full out and making a big lasagna that will give us beautiful leftovers for a full week or more. There’s one downside to real lasagna. A saucepan for the tomato sauce, a skillet for the meat, a bowl for the cheese. And that’s not even counting the lasagna dish! It’s a sink full of dishes, and an afternoon’s worth of work. Don’t get me wrong, it’s worth it. Suddenly, the pile of dishes isn’t that overwhelming. 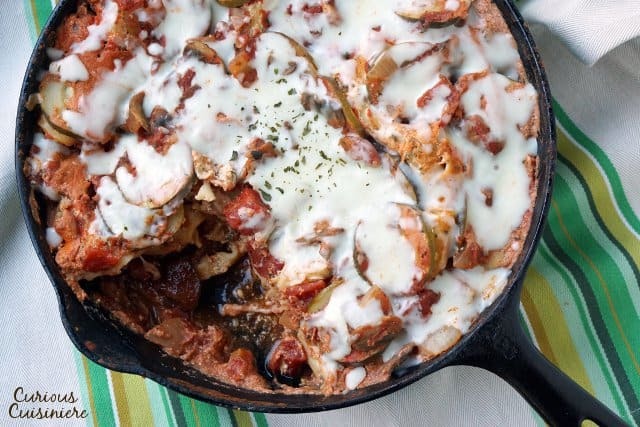 We love using our cast iron skillet to make this skillet lasagna because it heats so evenly. No hot spots of burned lasagna on the bottom. The heat is evenly distributed. Bottom, sides, and top (since we have a cast iron lid). This means your lasagna cooks in a similar way that it would in the oven: from all sides. So, we’ve already covered the #1 reason: less dishes. Reason #2 to make stove top lasagna is time. This lasagna can be on the table in a hour: prep and all. What kind of lasagna takes an hour?! Then, most of the sauce gets transferred to a bowl while you build your lasagna right in the skillet. A layer of dry noodles. A layer of a ricotta cheese mixture. (Ok, there’s a second bowl involved here.) More sauce. Noodles. Cheese. Sauce. Cover that skillet and let it do its thing for 30 minutes, until the noodles are cooked. Then add some cheese to the top and let the lasagna set until its melted. Super easy. Super quick. Minimal clean up. It might not be your traditional Italian Grandmother’s lasagna. But, it’s a great way to fill the craving when you don’t have time to go all out. 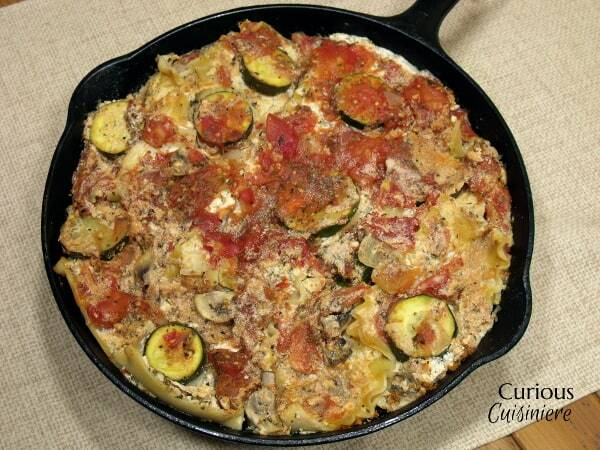 Our Skillet Zucchini Mushroom Lasagna is an easy, vegetarian lasagna that is cooked on the stove top. 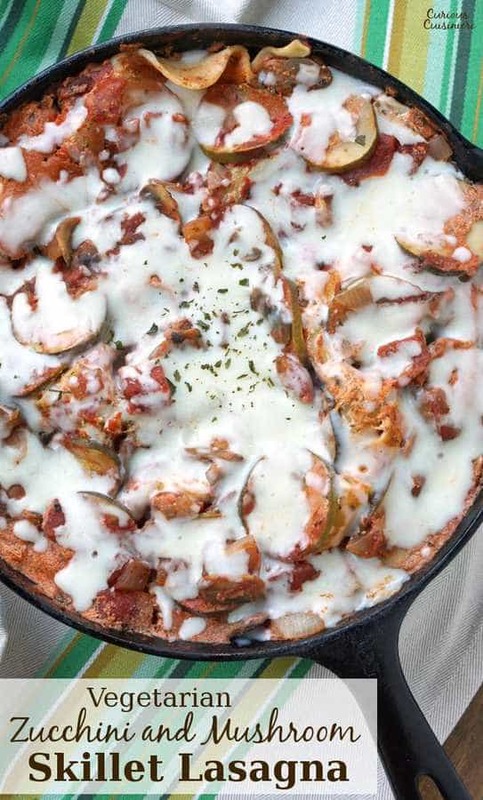 This one-pot meal is sure to be a hit! Heat the oil in a 9” cast iron skillet (or other non-stick skillet that is 2-3” deep) with a lid. Add the onions and sauté over medium heat until soft, 3 min. Add the mushrooms and garlic and sauté 3 min. Add the zucchini and saute for 5 minutes longer, until the onions are golden and the zucchini is starting to soften. Add the tomatoes, paste, water, and seasonings. Bring the mixture to a boil. Reduce the heat and simmer for 5 minutes. While the sauce is simmering, mix the ricotta, balsamic vinegar, parsley, salt, and egg in a medium bowl. Remove the skillet with the vegetable sauce from the heat. Transfer 2/3 of the sauce to a large bowl, leaving enough sauce in the skillet to coat the bottom. Place a single layer of lasagna noodles over the sauce in the skillet. Top the noodles with half of the cheese mixture. 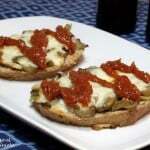 Spread half of the remaining sauce over the cheese. Top with another layer of noodles, the remaining cheese, and the remaining sauce. Cover the skillet and return it to the heat. Bring the mixture to a simmer, then reduce the heat to low. Simmer, covered, 30 min. After 30 minutes, check the lasagna by inserting a knife in the center of the lasagna. If it goes through all the layers with ease, then the pasta is cooked. Remove the skillet from the heat. Sprinkle the mozzarella cheese over the lasagna. Re-cover the lasagna and let it stand, for 5-10 min before serving, for the cheese to melt and any last moisture to be absorbed. This recipe from 2014 was updated in October 2017. We made the lasagna even easier and tastier. Enjoy! This is one of the recipes from the early days of Curious Cuisiniere. 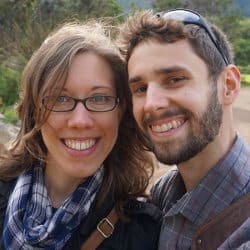 We’ve updated our pictures since we first made it, but we’ve left the originals here, in case you’ve found us in the past and are looking for that old, familiar image. I absolutely loved this. I got a little nervous about the stove/skillet thing, so I just put the pan in the oven for 30 minutes. I also did not manage to copy the entire printed recipe, and did not add the cheese at the end. It was absolutely delicious, and even more low fat. This is it for a lasagna dish for my family. It is a little disconcerting to cook lasagna on the stove-top. The first time we did it, we weren’t sure it would work! 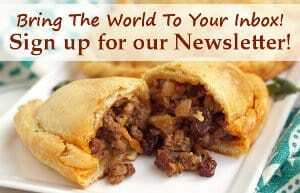 But, this recipe does work just as well in the oven, as you found out. We’re so glad you enjoyed it! Thanks for the tip Anne! We’ll have to give those no-boil noodles a try. I LOVE a lasagna recipe with UNCOOKED noodles!! Thank you!! Me too! I’m not sure what it is about cooking lasagna noodles first, but it’s a step I hate! Gah! I want to plant my face in this dish. Love that you made this in a skillet. This is so genius! 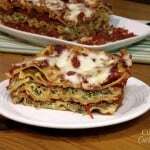 I’ve been wanting to try something like this because I too am not good at the lasagna making….I made one fantastic one and haven’t been able to duplicate it since!! I’m totally trying this! Wonderful! Let us know how it turns out! I’m loving this dish. I’ve never claimed to be an amazing lasagna maker so I can’t wait to try it in a skillet. 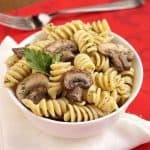 I really need to get some skillet pastas into my repertoire. Do they always take upwards of 30 minutes to simmer on the stove in their sauce? 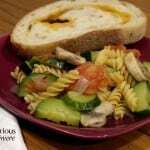 In the other skillet pasta dishes I have tried and recipes I have seen the simmering time is closer to 10-15 minutes. We’re still experimenting and trying to figure out why the lasagna took so long. You could pre-boil the noodles though, which I would think would cut down the overall time. “And, the house really wasn’t clean enough for that.” cracked me up. I know the feeling oh so very well. And I also know the feeling of how hard it is to make photogenic lasagna. I have yet to be successful with it enough to put it on my blog. Very cool that this is cooked on the stove top! 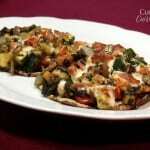 I love all the vegetables in this lasagna too! This dish just jumped to the top of the list to make for my girls, Sarah! It looks wonderful. Love all the flavors and how easy you make it sound! In our family, it’s my little sister who is the master lasagna maker, even back when we were children. It was her specialty and still is! Thanks Stacy! I wonder if every family that that one person who they depend on for the great lasagna? I think it’s a gift! 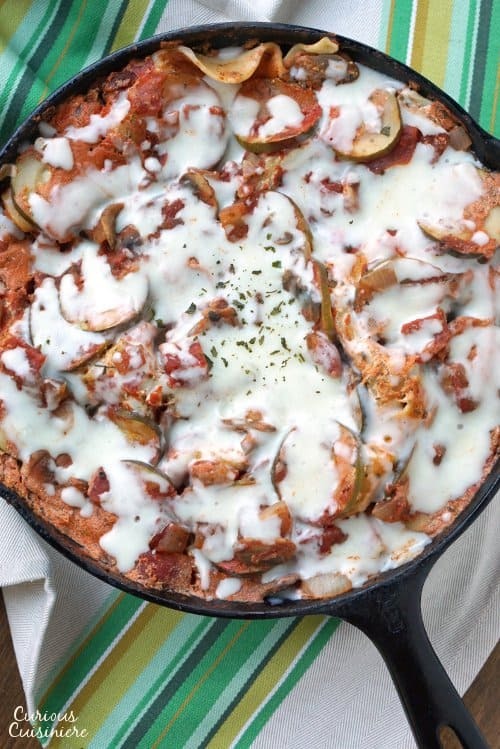 I love this idea of a skillet lasagna! I made a slow cooker lasagna last week. It’s so fun finding all these ways of making this dish. 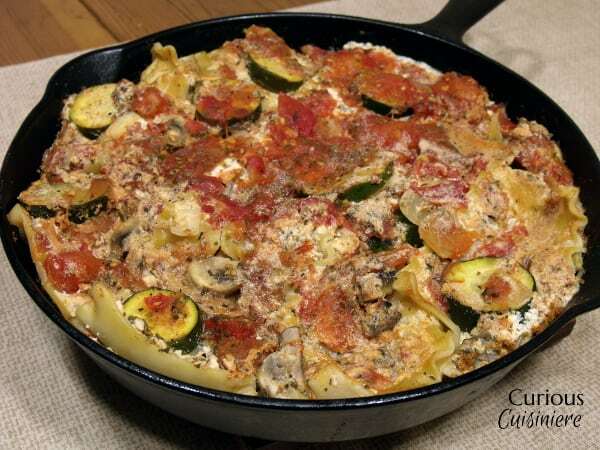 And I love the zucchini in this!! So perfect. Tim’s mom makes amazing slow cooker lasagna, and I have yet to master that one either! It really is amazing all the ways you can make lasagna! Great twist on lasagna, Sarah! Oh boy I love this. 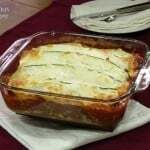 I am a HUGE zucchini lover and have been wanting to try a lasagna made with them. I agree! I’ll find any excuse I can to use zucchini! 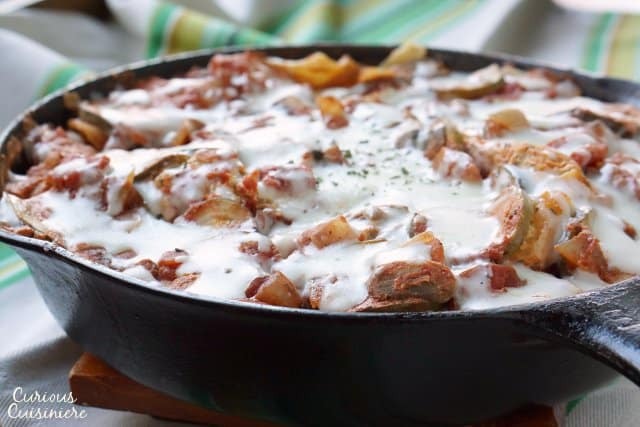 I really need to get a cast iron skillet, I NEED to make this! My cast iron skillet is quickly becoming my go-to cooking dish. It so so versatile! OMG, my lasagnas are always so ugly too! I love this idea, especially since I don’t have to take into account the moisture of the veggies at that exact moment, and blah blah blah. 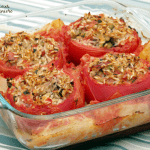 Just a great veggie dish! Thanks! Good to hear I’m not alone 🙂 ! 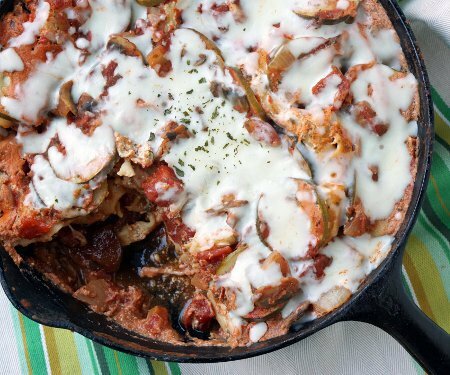 Veggie lasagna cooked in a cast iron skillet?! love this!!! Sarah, your veggie lasagna looks terrific!!! I would not miss the absence of meat one bit!!! Your lasagna looks to die for! I love everything about it!! This sounds delicious and looks so hearty and filling! How fun! 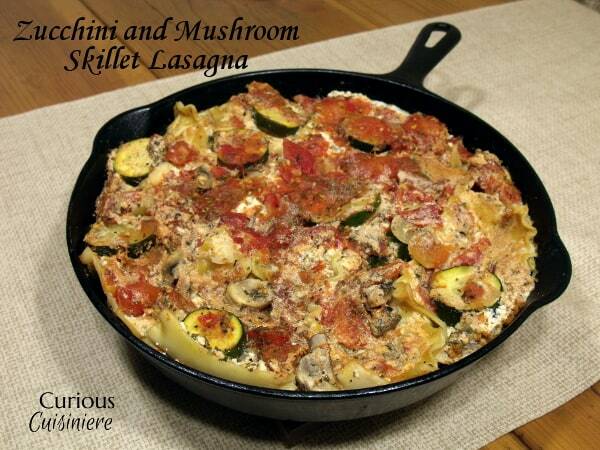 I love the idea of skillet lasagna! And vegetarian lasagna are my favourite!